Upon arrival to the small brick building at 1727 Rhoadmiller St. on Sunday, Feb. 17, ticket holders are greeted by Sarah Choi, founder of Richmond’s Silent Reading Party. She puts a finger to her lips, signaling silence, and hands attendees a square sheet with a list of cocktails and instructions: "1) Go to the bar, order and pay, 2) find a comfy spot, and 3) get your reading on." After they open the door, guests pull back a dark blue velvet curtain and step into Virago Spirits as light music plays in the background. Before long, the cozy, warm space is filled with a wide array of people sprawled out on plush couches and sitting at tables, face deep in a book and accompanied by a cocktail. The event — it’s free but requires tickets — sold out in 20 minutes. “I’m an avid reader and an introvert, so when I saw Silent Reading Party pop up, it sounded like a dream come true,” says 26-year-old Rachel Dawson, who has attended every event since Silent Reading Party launched in mid-December. The “parties” take place once a month and will be hosted by Virago Spirits every other month. Vicki Haneberg of Virago, who has been in the same book club since 1996, knew the location would be an ideal fit. The events are typically attended by an average of 25 to 40 people, depending on the size of the space. Choi says she discovered silent reading parties online in 2016, taking place in major cities such as New York and San Francisco, and the idea of launching the concept in Richmond stuck with her. “I have a hard time finding time to read and [find it] hard to get quiet time,” Choi says. “I like social obligations, but it’s nice to be somewhere and not be forced to have small talk." Restaurants and distilleries are an ideal match for the parties because they introduce guests to businesses they may not have been familiar with before. Choi says she seeks out businesses that can close for at least a two-hour time frame and are typically more intimate. Although there are numerous other book clubs in the city, Silent Reading Party engages readers with businesses on the local dining scene, and the spaces are closed for the private events. Guests simply bring a book, and then they can purchase a drink and relax in silence. They are free to leave when they wish, and the fluidity makes the events approachable and pressure-free. The Silent Reading Party in January took place at Secco Wine Bar, and Choi hopes to reserve the comfy seats at The Jasper and Laura Lee’s in the future. For each event Choi creates a specific, intentionally minimal cocktail or wine menu. The events at Virago will feature one to two cocktails from their guest bartender series — the last Silent Reading Party featured Captain’s Grog No. 804 from Beverage Director Craig Gordon of The Shaved Duck. “Its experience-focused, and we want people to come and have an experience — at the core it’s connecting people,” explains Choi, who notes that the most recent event was the first time every single guest read physical books and not electronic reading devices, although they aren't prohibited. “I think we crave [silence]. There's so much sensory overload; this is to counteract how much we are exposed to at all time,” Choi says. "How can people not feel so alone? If I can create an experience that makes them feel a little bit more connected, that's my joy." Silent Reading Party forces people to slow down, be mindful and relish silence, which is oftentimes a rarity, while also supporting local businesses. And although no words are exchanged during the event, being surrounded by like-minded individuals fosters a feeling of togetherness. “The parties are beautifully executed experiences that have really created a fun little niche community in our city,” Dawson says. 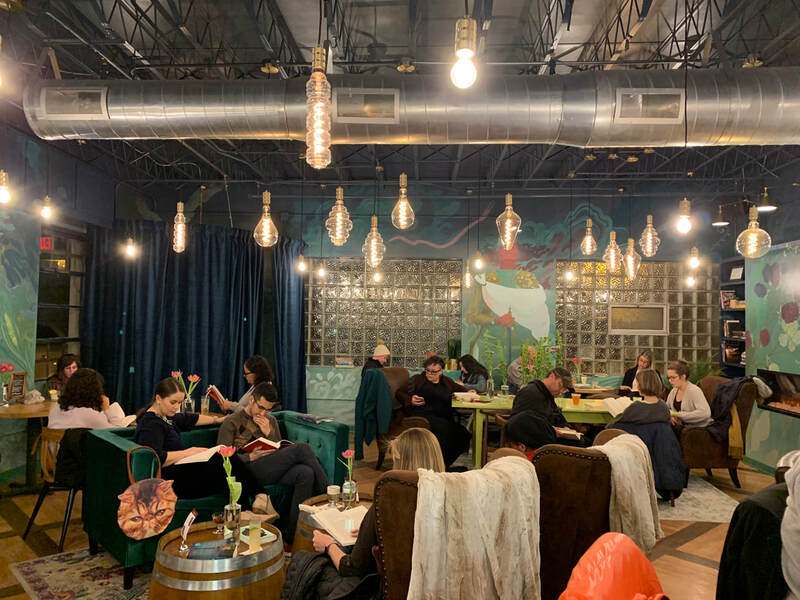 Dates are still to be announced for upcoming Silent Reading Parties, with the March event taking place at Urban Hang Suite RVA, the April event at Virago Spirits and the May event at the forthcoming Bateau. You are 13 months old. It snowed 12 inches two days ago. It’s the first snow you were awake for and got to play in. I’m sure you know this by now, but Mom hates being cold. Freezing makes me feel alone and uncared for. I’ve lived in Florida and New Orleans to know hot weather is uncomfortable, too, but somehow warm weather does not give me the sense of urgent need to survive as much as cold weather does. Mom loved going to UM - Ann Arbor for the freshman year, until Michigan winter hit. I remember crying out of misery walking to classes in subzero temperature and tears would just freeze on my face. I really loved Ann Arbor because that place represents such freedom to me, but I am glad I didn’t have to weather another Michigan winter since 1993. At the first winter chill in the morning, I heat up your milk in a double broiler. I think the doctor meant well, but she doesn’t know I may want to heat up milk for you when you are five years old, too. Every morning since, I’ve been feeding you hot breakfast. Steel cut oats with a pat of butter and drizzle of raw honey, fluffy scrambled (half an) egg, winter squash with parmesan… Even avocado gets a few minutes in coconut oil if it comes out of the refrigerator to take the chill off. Sometimes we eat rice and soup for breakfast like real Korean people. Spending those extra minutes standing over the stove carrying you in one arm (you really like looking at what’s happening in the kitchen) makes me feel that I’m caring for you properly. Dad picks you up at 8 am, so feeding you breakfast is the only meaningful time I get to spend with you before you head out. By now you are so used to alternating days with us that you start happily waving good-bye to the remaining parent as we get you ready to head out the door. I’m so fortunate that I don’t have to rush these early mornings with you to get to the office or drop you off at a daycare before work. The hour or so of quality time with you in the morning makes coparenting bearable. Snow day continued on today. Sunday we made Japanese curry. Today we made seaweed soup for lunch (you didn’t care for it) and pan-fried salmon for dinner. I think rice, salmon and fresh avocado served tonight, kind of a deconstructed maki, has been your favorite meal to date. You signed “more” consistently and ate almost all of the salmon and a whole avocado that way. Your eyes lit up when mom built a perfect bite of all three elements, so dinner took a while longer. But where else would we need to go on a night like tonight, snow covering everything out the window and reflecting moonlight as if we are in a fairy tale? We’ve had a perfect day of cooking, napping and warming up milk to stay cozy. Life is simply beautiful and you make it so. You are one day away from turning 13 months. You took the first bad fall that drew blood this week. You were a champ. Mom was not. Almost six months ago, Aunt Ariel plopped onto her couch and blurted out, "Life is so hard and they don't teach you how to do life in school!" I laughed then, but she continued, "If I didn't have you, where would I have gotten advice to go through all this [life transitions]?" This got me thinking that one day, you may be 29 and sitting on someone's couch having an existential crisis or seeking answers to "doing life" right, and consulting your own mother is probably the last thing you'd be thinking about because life is so by design. Maybe you would think the old lady (I'd be 72 when you are 29!) is so far removed from your current crisis that she wouldn't understand, or you would worry that mom would worry or be disappointed. Or worse, mom's not physically around any more because that is also a real possibility in life. Aunt Ariel's words rang in my head for days, and these thoughts led me to think that maybe if I wrote letters to you now, as someone who's doing life the best she can without all the answers (surprise! ), maybe 29-year-old you or 44-year-old you would connect better, or at least would know you are not alone (by the way, babe, you are never alone, even in your loneliest, darkest times; always remember that and reach into the light) whether mom's physically, mentally or spiritually around. As someone who completely cut off ties with one of her parents over 20 plus years ago (we will speak about your grandfather, I promise), it also is not lost on me that I can't take for granted we'd never be on bad terms once we phase out of innocence and bliss of your childhood and you'd have to enter the forest alone to start your soul's journey. You've come to me in the most unexpected, miraculous way and I spend zero time doubting you've chosen me to be your mother as a part of your purpose here. But I hope that it's to provide you love and support rather than life lessons like how I feel about my mother's role in my life. Oy, this is going to be harder than I thought! 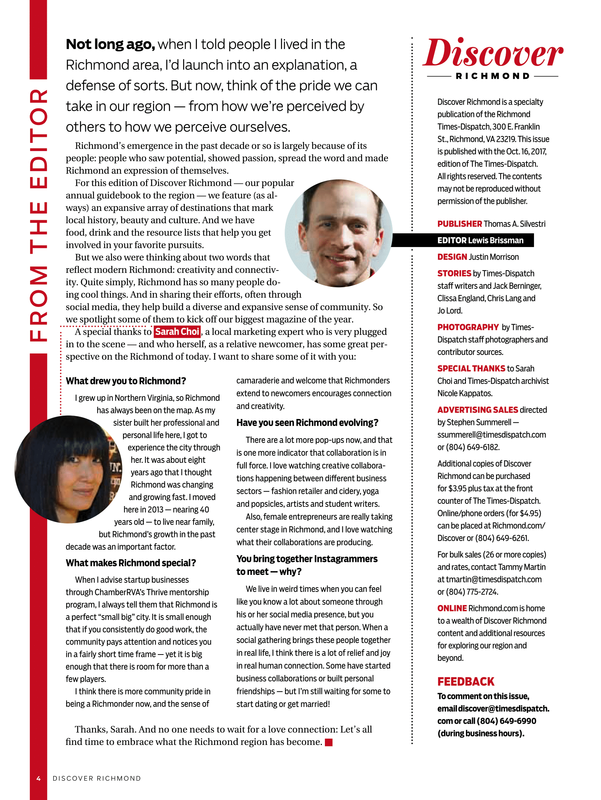 No wonder it took six months for me to start. Well, in any light, I have a feeling that you would never doubt anything your Aunt Seo says, no matter how "old" she would get unlike mom. That's a good thing because she is magical as she is wise. And she would always love you without any shred of darkness - be it doubt or guilt, as parenting on best days is still riddled with both. She has been waiting for you in ways when I didn't know to wait for you and she will be there for you in ways that no one else can. Always look to her for advice if mom can't help. What else? We'll keep adding as things come up! So this is letter No. 1. See? Hardest part is taking the first step; rest is whatever. It will go where it's meant to. Don't overthink it. Three social media personalities in the Richmond area are coming together to support local businesses impacted by GRTC Pulse construction project on Broad street. Sarah Choi, organizer of Instagrammers of RVA; Faith Wilkerson, of Unlocking RVA; and Samantha Kanipe, of The Richmond Experience are encouraging Richmonders to participate in #PULSETHEBROAD, a Broad street crawl and dinner event scheduled for Saturday, March, 17, 2018. Working in partnership with the Virginia Department of Rail and Public Transportation, GRTC is developing The Pulse. Though the first phase of the project was originally slated for an October 2017 completion, construction is scheduled to continue into spring. More than 50 business owners recently gathered at a community meeting organized by 2nd District Councilwoman Kimberly Gray to relay their concerns with the ongoing disruption along Broad Street that have resulted in losses. The #PULSETHEBROAD initiative calls for Richmonders to Lyft, Uber, bike, walk, or take the bus to the downtown area on March 17th to show their support for the businesses on Broad street from 2 to 5 PM. Afterwards, the organizers will join those who want to have dinner with them at Max’s On Broad, Comfort and The Savory Grain. Choi says the idea for #PULSETHEBROAD was born when she recently visited the Broad Street area and was struck by the many businesses impacted by the construction. In addition to enlisting Wilkerson and Kanipe, Choi also turned to Angela Prado of Boomhitch, a branding agency whose office is located on Broad street in Jackson Ward. For more information, visit www.pulsethebroad.com. My parents are the only two people that I feel so personally damaging to my wellbeing that I've chosen to cut off ties with. It's not something I share often but I don't hide it or feel shameful either. Over the decades though, they became more human as I got older and found compassion for two very brilliant and capable people riddled with troubled values and emotional immaturity. But I can say I'm grateful for some of the things they did right. They always made sure their two daughters, born in the 70s in patriarchal Korea, never felt that we were not good enough. If anything, I was explicitly told that I, a girl, can do better than any man, in school work, in owning a business and in leadership. They taught me taking a backseat was never an option. If there were a slight possibility that a teacher or an adult put a conflicting thought in our heads, they declared a battle and made them pay. These two people who brought me a lot of pain, sadness and agony, were undoubtedly also an army behind my back, unwaveringly, when it came to equality. Sis and I were the same people then as we are now. Seo was a class president for all of the years I can remember, and I read, wrote and mothered other kids. We never doubted we could do anything we set our minds to. The first time Seo and I met my now-ex husband, he tried to give us direction to get out of the area we were in. He was immediately dismissed by both of us. Months later he said, "You and your sister cannot be told you can't do something. Your backs get straighter, you immediately stand up taller and broaden your shoulders as if you are ready to fight." I always tucked that observation away. In our 30s then, it was a compliment that we became those women with lifelong practice of not taking "no/not good enough" for an answer. I've always had way more sensitive and introverted nature that proving to my parents I felt I was good enough came at a personal price. I really would have preferred not to stand up or fight, but I learned to put on the armor if I had to fight. In fifth grade they made me campaign for class presidency because a teacher told me I should give up my spot for someone else and now we had to prove a point. I hated every moment of it and didn't win, but my parents took a great pride in the fact we stood our ground. Every morning during the campaign, I wanted to hide. But I showed up instead. Add the lifelong practice of putting up a good front when your family life is burdened with alcoholism, violence and emotional abuse, I became a pro fighter. You channel all the anger and frustration into something positive, showing up for people and yourself. This morning I find myself in that familiar feeling of getting into a battle mode even when I'm scared, sad and don't want to. I am reading the posts of you my friends, especially those with children, especially daughters, and especially minority women as daughters, and I think of my parents. At 42 and childless, your kids are all my future too, and I'll get up today and every day and do what I know to be right, so they have one more able advocate for them. When I was gifted a second generation iPhone, almost ten years ago, it gave me two things: a camera that went with me everywhere and a tool to connect with people in the form of social media apps. Give a food loving extrovert with marketing background such tools and you get a food blog, as a Facebook page. That's how2GutsyGirls started. While I was blogging for fun, I spent a lot of my own money, time and resources to go to the restaurants to order all the right dishes, then take pictures and post about them. I did it out of passion, as many of you are doing now in managing your own social media channels. It was fun -- I loved the food, the photos, writing and ultimately, sharing. But it was expensive and sometimes I felt that I wasn't really connecting with people. Since then I've transitioned to serving the other side professionally. I advise small businesses in marketing through Thrive RVA and spend a lot of time talking to them about how to build and leverage their social media presence so they can engage with their audience by telling authentic stories. We talk about the right platform for their product/service, who the right influencers for them are and how to reach out to them. Small businesses and start-ups need all the exposure and help they can get, but they seldom have the funds for advertising. So social media becomes more important until they grow, IF they get to grow. In the last several months, I've met strangers who came up to me and said, "You are Sarah/Sarah Choi/ Sarahchoi.rocks, right? I follow you on Instagram." I love that so much. It's taken me years to build that and I love meeting the real people behind their Instagram presence. I wish I could sit down and have coffee with them, take pictures of lattes with them, go hit up taco joints with them. I invite the power Instagram users and leisure Instagram users of Richmond to sign up on an email list managed by me. 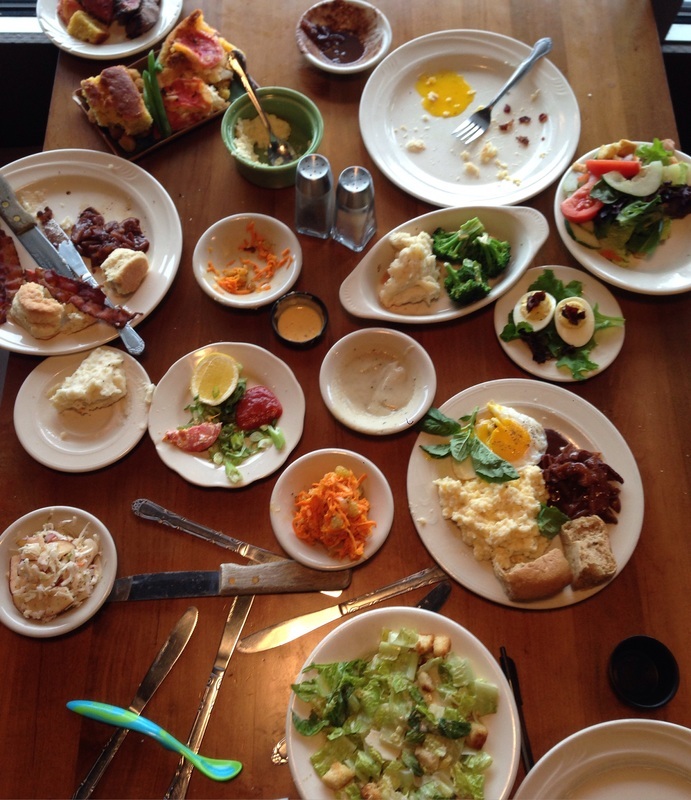 Let's own our community as #igersrva (Instagrammers of Richmond - already exisiting hashtag). It's free of charge to you, all you are agreeing to do is to be ok with receiving emails from me. Emails will have information on meaningful offers requesting your presence, nothing spammy or annoying. You can leave the community any time if you find it to be not worth your time. 3. 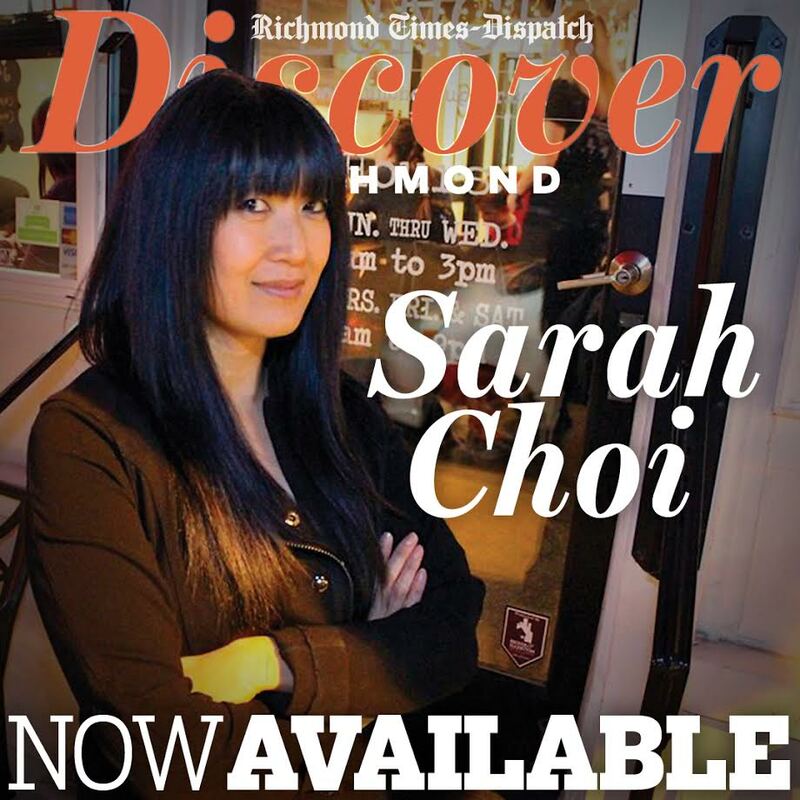 I, Sarah Choi, will be your connector in sending out the invites from the businesses to #igersrva and managing the backend of #igersrva community. Every community needs a mother hen and I'll make sure nothing spammy and offensive goes out to my community. Get it? Are you in? Sign up below! When sis said I should meet Kim Brundage, I browsed her website and thought, "Oh, a beautiful woman taking beautiful images of other women, got it." We exchanged some emails on the topic of e-newsletters, which was the project Kim was considering at the time. Even when the working relationship is project-based, such as e-newsletter campaign, meeting the client to learn about the business is an absolute must. So we set a coffee date. In the West End. At a Starbuck's. At 8 AM. I spent 11 years in traditional and formal business environment till 2010. I wore the corporate uniform - full on business suits, dresses, hosiery and sensible business shoes. I had my signature Starbuck's formula. I played the office politics, climbed the ladder and strategized how I would succeed. I did well but I did not feel well. The field I was becoming an expert in on a national level, did not give me joy. One day I made the transition. This side of the fence, the crazy, unpredictable and unstable life of an entrepreneur, is where I feel I belong. I've built and helped others build brands and businesses where my contribution was meaningful. I can't wait to do bigger and better things and know that I can. But every so often, I still catch myself thinking, "Are you CRAZY? What are you doing? Get a JOB!" I held onto all my corporate wardrobe until recently in case I ever needed to get a job-job again. So the internal struggle is real. I write about that because that internal struggle explains why driving on 64W at 7:30 AM, getting a spot at a Starbuck's in the middle of the West End business annex, surrounded by business people waiting for a beautiful photographer that takes beautiful head shots of business women made me uneasy. I looked around and suddenly thought, "Why didn't I get up 15 minutes earlier to put face cream on my blotchy face? Am I wearing too casual of an outfit on purpose?" Then in the next breath, I would tell myself, "EFF THAT, that's not important." 6/3/16 I drove on 64 at 8 AM and am sitting at the busiest Starbuck's with a drive through. Six baristas behind the bar. Tinder dates and meetings on the floor. This is a whole different Richmond! The first marketing agency I worked as a project manager, I learned rather quickly my drawing skills come handy when communicating with graphic and web designers and clients who are visual communicators. Talking about a design project is tedious and there is a lot of grey area left to interpret subjectively. ​Of all the marketing related projects I help manage, I find client-designer mismatch the hardest to navigate. Conceptualizing and giving feedback to design drafts in written format, as an email or text comment is often painfully inefficient to me. I'm quick to put a pencil to paper in an attempt to draw out what I'm trying to say, which I find designers are a lot more receptive to. Over the years, I've adopted a few helpful tools I use depending on the purpose. Here are some of those tools and how I used them. When Shoryuken Ramen partners Jessica and Josh Bufford opened Talley's Meat and Three, they had to explain to me what "Meat & 3" meant: classic Southern style supper comprised of one meat/protein, three side dishes and bread. 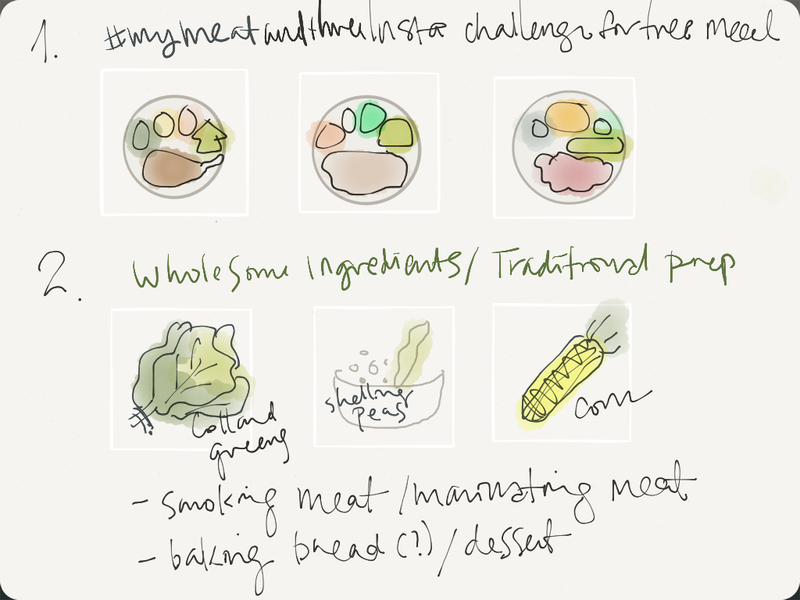 Another strategy I proposed to showcase the concept of Meat & 3 was a stop motion video showing how different each meal combination could be, reinforcing #mymeatandthree idea. On a snow day in December hanging out with my neighbor Ariel eating tiny M&Ms, I made a Flipagram video to show Jessica how it would apply for Talley's Meat & 3. 1. Take all photos in Square photo layout (for Instagram) to avoid cropping. 2. Mark plate position so it doesn't jump from one shot to another. 3. Add more time for a shot (ending shot here) by using copies of the same photo. And here is one of the videos for Talley's Meat & 3! Keep following Talley's Instagram (@talleysrva) to see the rest of videos in the series or better yet, go and order your own #mymeatandthree plate! Here is another example of Paper and Pencil just for fun! 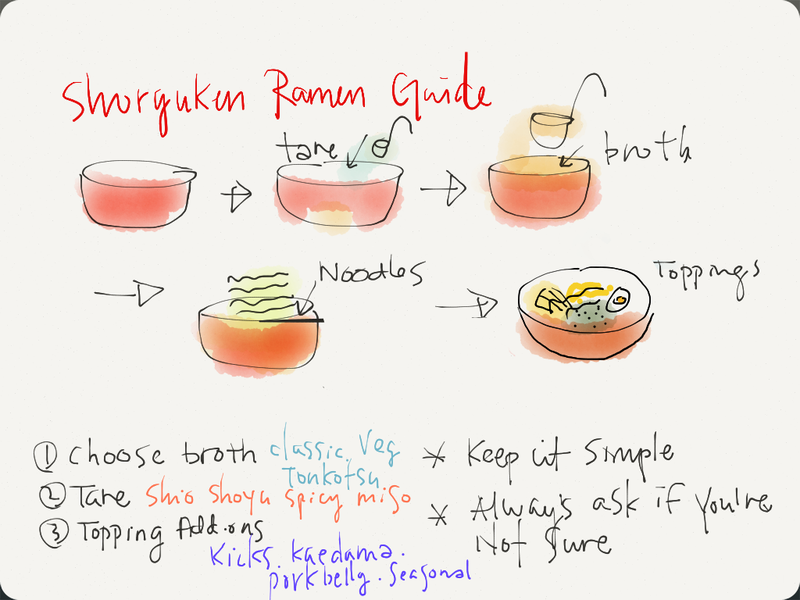 I made this to explain how a ramen bowl gets assembled to new servers at Shoryuken Ramen. To achieve this in any other way would have been step-by-step photos, then captioning them individually. Much faster, fluid and effective this way. Next week, more design tools for non-designers and how I used it for LivingSwellRVA.com, more specifically, to capture my sister Seo's personality perfectly in the logo. Questions? Comments? Let me know what else you would like to see by leaving comments below. Want to work with me to grow your business? 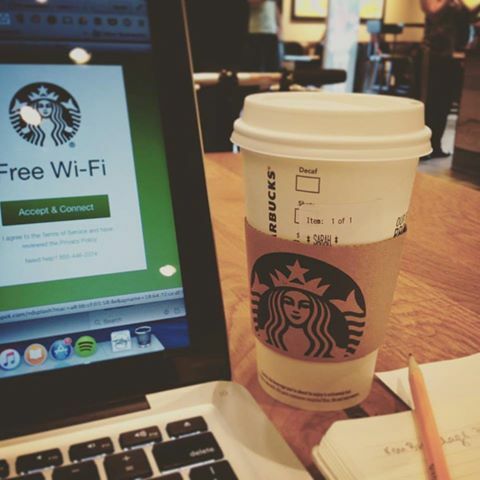 Email me and let's have coffee.